Parenting a child with a peanut allergy is more than just a challenge. A peanut allergy can mean daily worry, watchfulness, and restrictions. Since peanuts are a prevalent ingredient in so many of the common foods that we eat, these foods are often readily available at snack bars, parties, and in vending machines. As every parent with a peanut allergy knows, your child’s reaction may not consist of just a few hives. It can cause anaphylaxis; a whole body allergic reaction that causes airway restriction, cardiac and respiratory arrest, shock, and when not treated immediately, death. 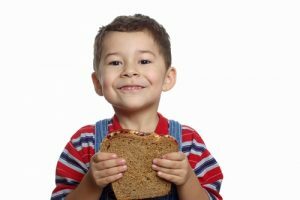 Even if your preschool age child has eaten his first peanut butter sandwich and is in the clear, parents with growing families may still be fearful that babies and younger children may develop this debilitating allergy. In 2000, the American Academy of Pediatrics began to advise parents and pediatricians to hold off on introducing peanut products to children until age 3 or older. The original advice suggested that parents delay the introduction of dairy products until 1 year of age, eggs until 2 years of age, and peanuts, tree nuts, and fish until 3 years of age. Most parents have been abiding by these guidelines, and yet, the incidence of peanut allergies has risen. A r ecent study published in the February 2015 issue of the New England Journal of Medicine suggests that holding off on introducing peanut products to children until such a late age may actually be contributing to the higher incidence of peanut allergies, and that introducing peanut products earlier, even in infancy, may ward off allergies in kids who may be prone to them. The study is comprehensive, having recruited over 600 children between the ages of four months and 11 months, following them for five years. Some of the children were already believed to be susceptible to allergic reactions. The children were randomly assigned to two groups. One group abstained from any peanut consumption, while the other group ate moderate amounts of peanut products. At age 5, both groups were tested for allergies. 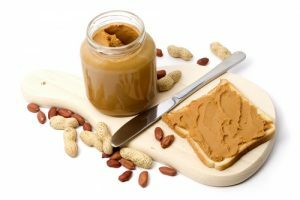 According to the study, “Among the children who started the trial with no sensitivity, nearly 14 percent who did not eat any peanut products developed an allergy, compared to less than 2 percent of those who did. Among the children who were already slightly sensitive to peanuts, but did not eat any peanuts as they grew, 35 percent developed an allergy, compared to almost 11 percent of the ones who ate the snack.” This drastic reduction in the number of allergies in children who were exposed to peanut products has led the National Institute of Allergy and Infectious Diseases to bring together immunologists and pediatricians in an effort to develop new guidelines for parents and pediatricians. What to do in the meantime, before new guidelines are introduced? Talk to your pediatrician. She may have recommendations that will guide you as you introduce your child to peanuts, tree nuts, eggs, dairy, tomatoes, shellfish, and other allergenic foods. As a parent, you want to raise healthy children and decrease their risk of a peanut allergy, but you want to do it in a safe, and informed manner. Your pediatrician is your best source of info on how to proceed.